Update: This recipe is now on the Caveman Keto YouTube Channel. 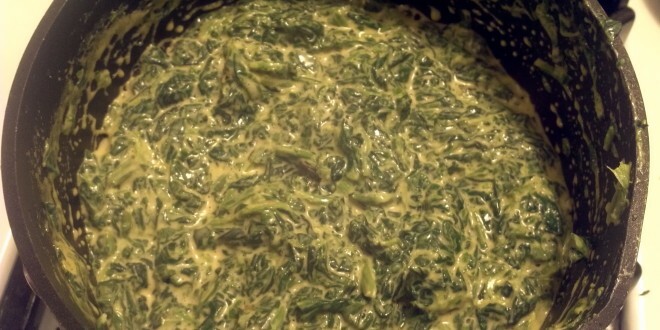 Check out how to make Creamy Cheesy Spinach! I am currently taking part in a 30 day spinach challenge. The idea is that while on a keto diet, your potassium is most likely low. Spinach is one of the highest potassium containing vegetables and so it is a great addition to any keto meal. I tried a bunch of different ways to make the stuff and this is the best I’ve gotten so far. 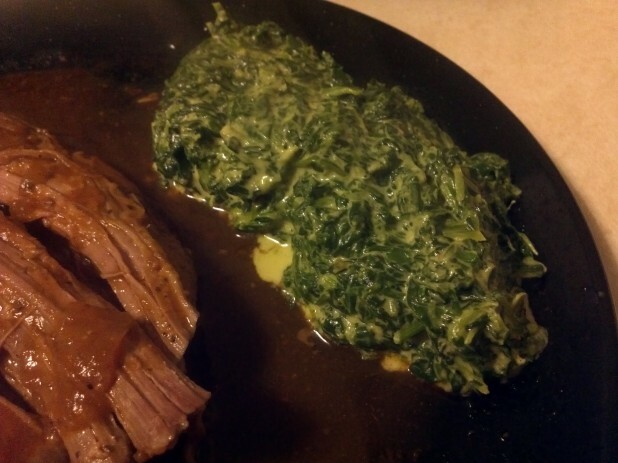 Here is the finished product next to some pot roast. I like to use frozen spinach. It comes from a huge freezer bag from BJ’s and it is resealable. It doesn’t go bad quickly and supposedly it is frozen at the peak of its nutritional potential. Its also cheap. Once the spinach is unfrozen, cook it a bit to reduce the liquid. Then add cream cheese. It should look like this. Now add the cheese. 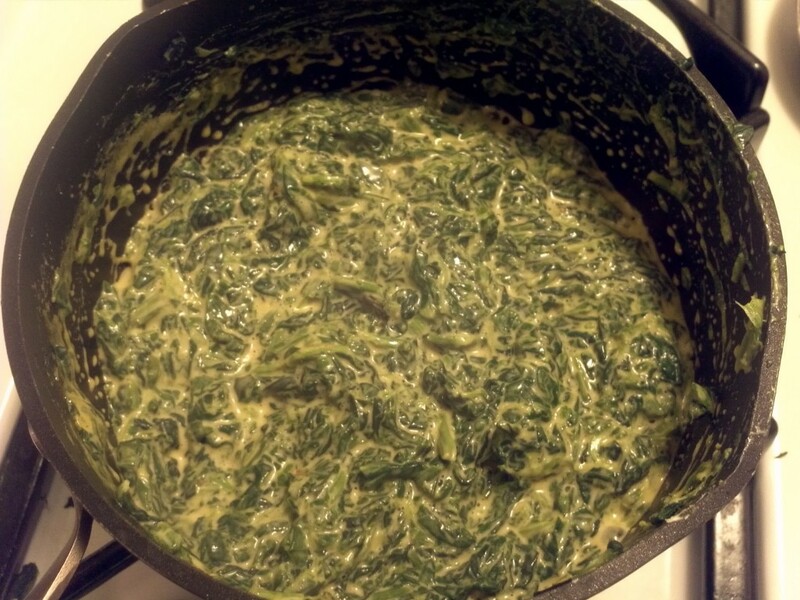 This is why its called creamy cheesy spinach, get it? I use my handy dandy food processor to grate my cheese. The binding agent that they use in shredded cheese normally has carbs in it. So you can save some carbs by shredding it. Also, I find it melts better in recipes like this. It can be cheaper to buy whole blocks of cheese and shred it yourself. You can also get a hand grater that works just as well, just a little more effort. And were done! This is just for two people but it could be scaled up depending on how much you want or how many people. I’ve only made it fresh so I don’t know how well it stores, but its pretty easy to make so I would just whip it up live. Thanks for this, I made a batch up the other night and it was a hit, even with my wife and 1yr old son. Just made this.. easy and delicious! Made this tonight for dinner. It was delicious! We garnished with some crumbled bacon bits (because KETO!). I also used your MFP entry.. Thanks for putting that up! 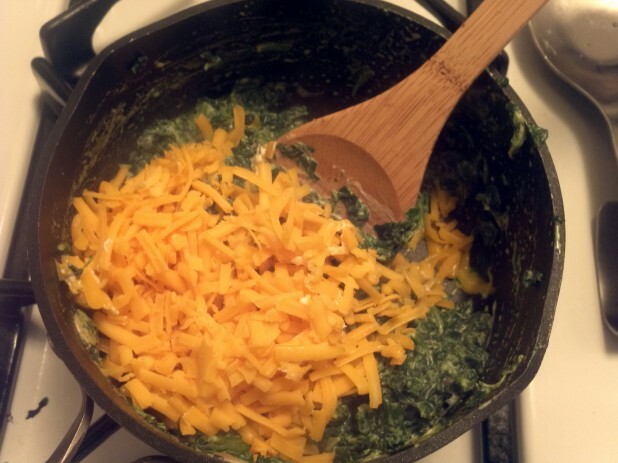 So I was wondering, when making this… does the 255g Spinach, 4 Tbsp Cream Cheese and 58g Cheddar Cheese go into 2 servings or one? Hey Caveman Keto – first of all, thank you for all of your recipes. You are literally a sanity saver for someone who is new to Keto. I made this recipe a few times and wanted to throw my 2 cents in. I like the original recipe just fine, but it wasn’t my favorite. Today I tried a little variation that I stole from a dip recipe. I used about half the cream cheese and replaced the rest with mayo and sour cream. I added a bunch of garlic salt. Used a little less cheese. It was perfect for my tastes! Thanks again and Keto on! My tummy is so happy! Thanks for the recipe! Delicious! Thick, creamy and very filling too. I added 1oz diced sweet onion and 1/2 tsp minced garlic that I sauteed together in a little butter, in between the cream cheese and shredded cheese. Can’t wait to look through your other recipes, as I just found this site when I googled for a recipe. 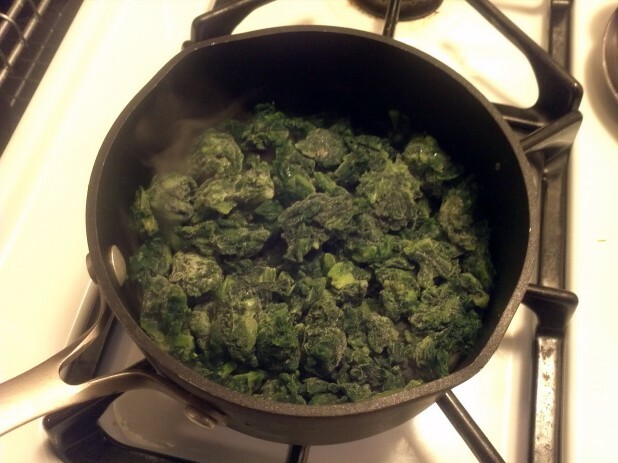 What do I do with regular, non-frozen spinach? boil and drain? Thanks! 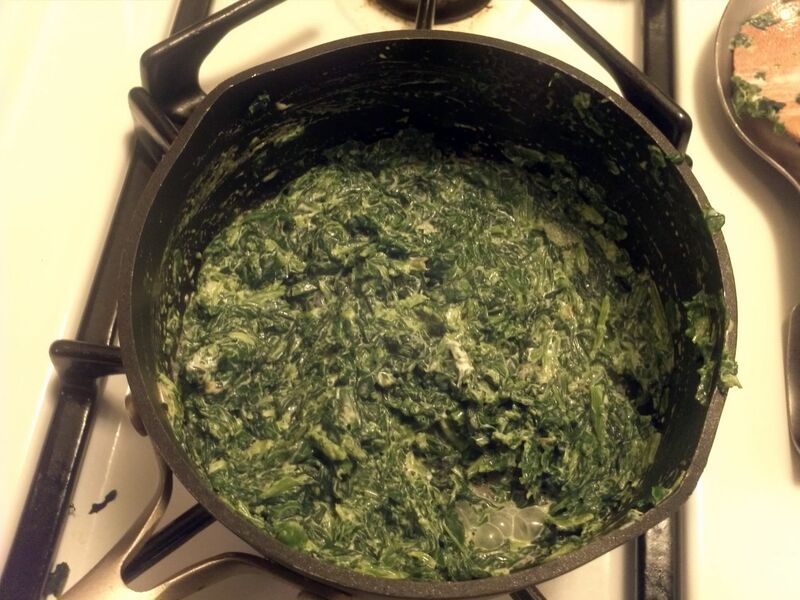 Hmm, I’ve never actually made it with real spinach. Boiling and draining would work, you could also saute it with some oil. I had been told it is the *unbinding* agent – that is they toss cellulose (wood chips) in there to keep the cheese from clumping. Yeah you’re totally right, I chose my words badly. What I meant to say was that they add extra stuff so they don’t bind. This look so good….and so easy.